The National Disability Insurance Scheme is Australia’s biggest social policy project since Medicare, aiming to address the need for a major reform of disability services in Australia and give participants more choices and control. 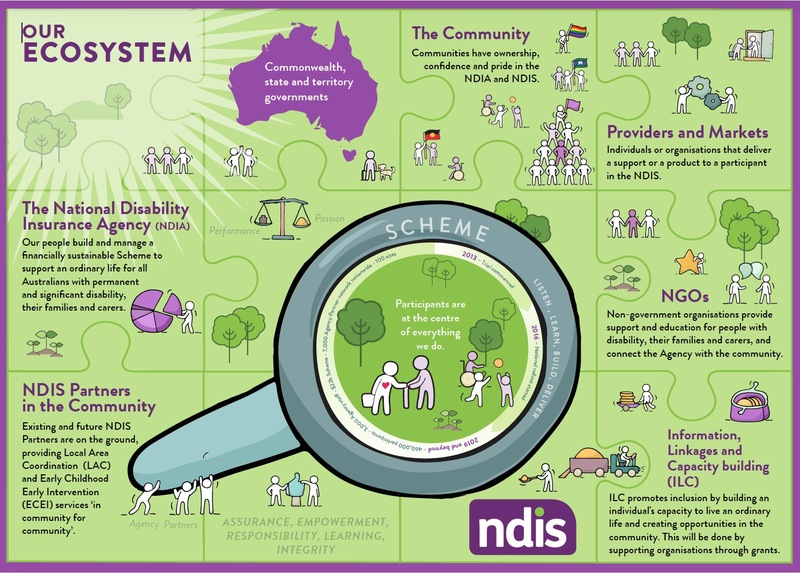 In 2013, legislation was passed and the NDIS Act was created, along with the scheme and the NDIA (National Disability Insurance Agency). 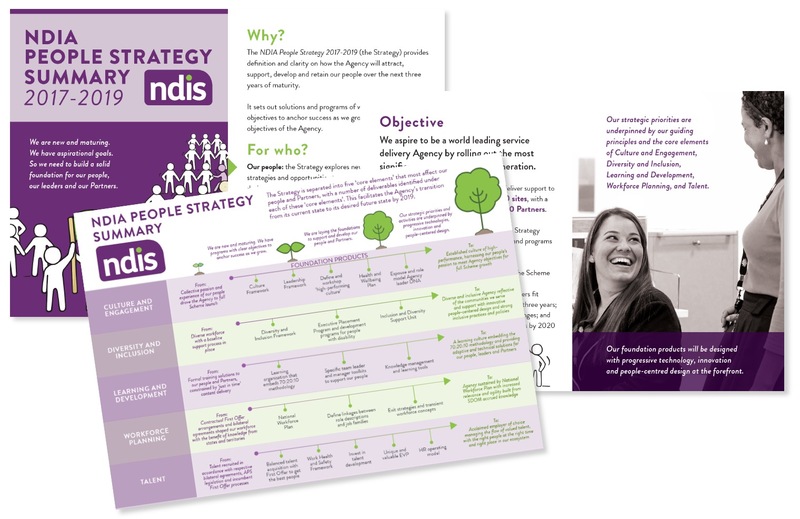 After three years of pilots, the NDIS was ready to be rolled out nationally… Silverstone Edge partnered with Crealo in a ongoing series of engagements around the transformation of the organisation and its workforce. This large narrative infographic was developed following a co-design workshop involving NDIA’s key staff and partners and facilitated by Silverstone Edge. 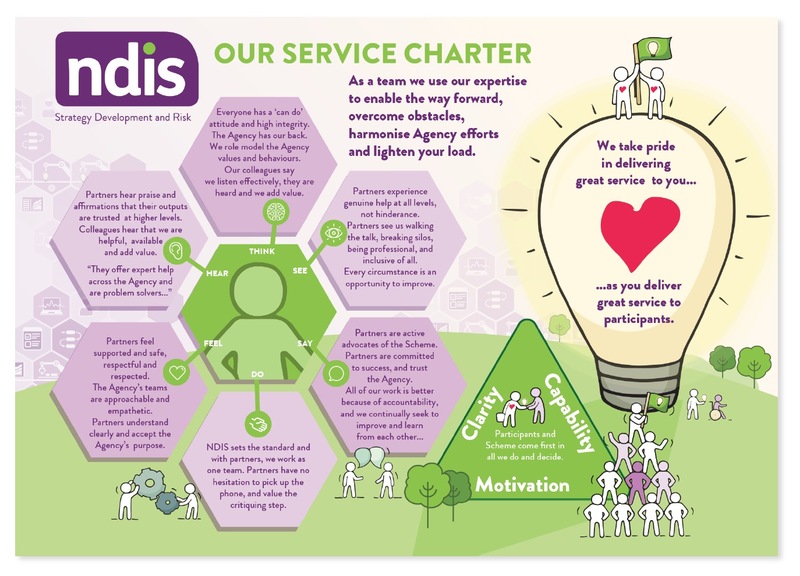 Originally printed on a 1.8m long silk paper), it depicts the journey from the early beginnings of the Scheme to its official national launch and direction for the future. The poster was distributed nationally, accompanied by a voice piece. It was addressed to the Agency’s employees and partner organisations on the ground, telling a unified story by acknowledging the history and difficulties of the past, celebrating the achievements and an invigorating vision for the future.